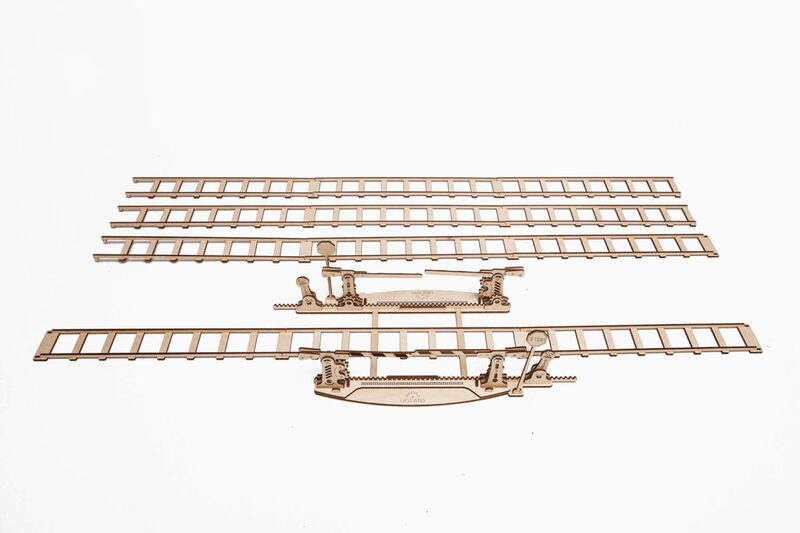 Ugears Rails with Crossing is an exciting addition to Ugears Locomotive model. 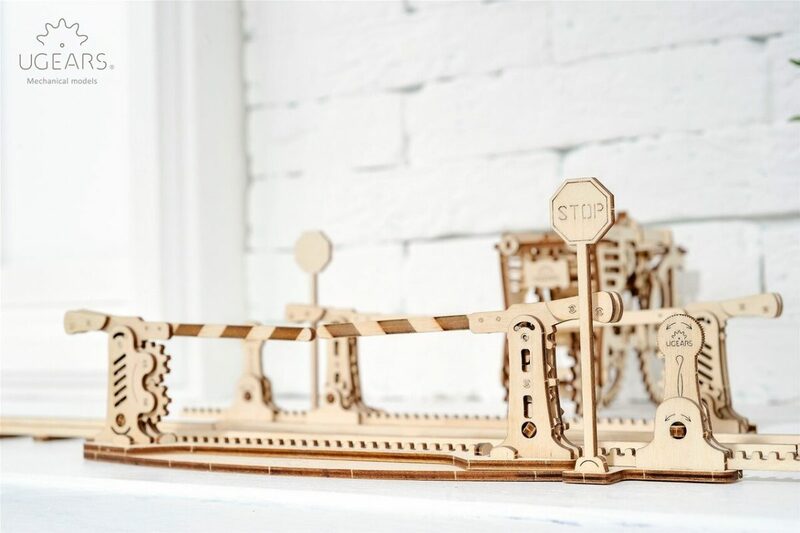 Because where there is a railroad – there is a crossing, and the featured kit includes both. 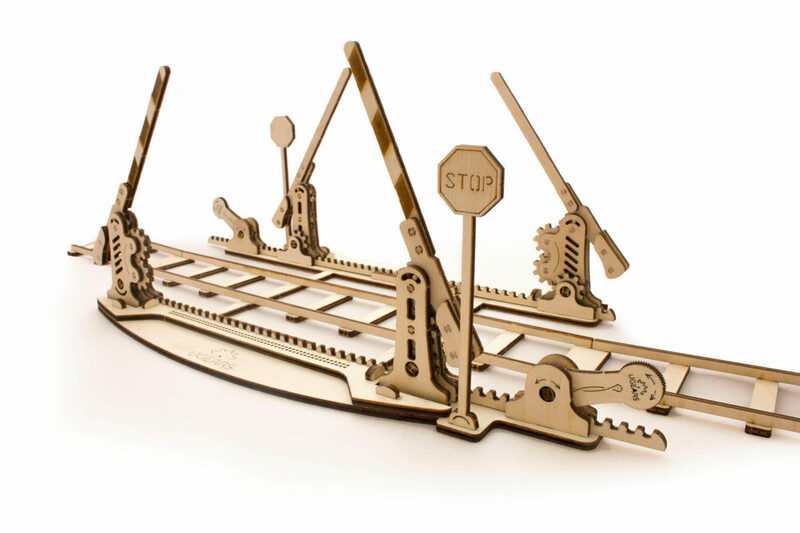 With this set you’ll get 13ft of tracks and a crossing complete with stop sign and raising and lowering gates activated by a lever. 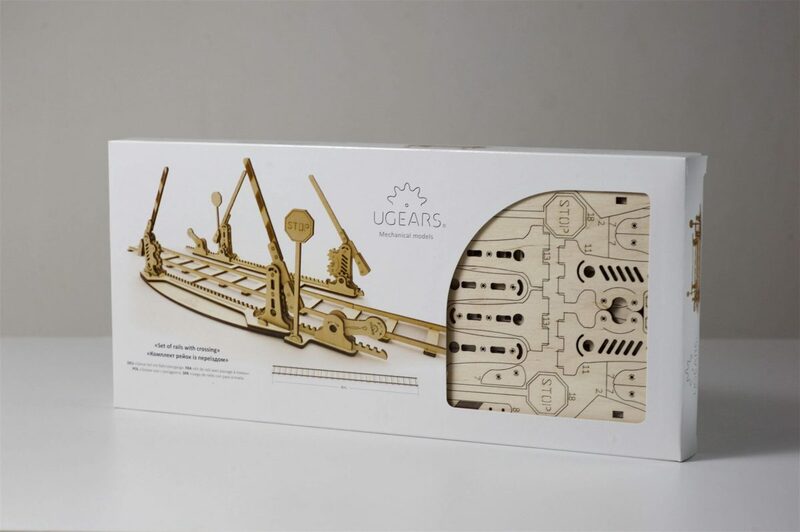 UGears Rails kit has all you need for assembly: a set of high-quality plywood boards with precisely cutout parts, detailed step-by-step instructions, and spare parts. 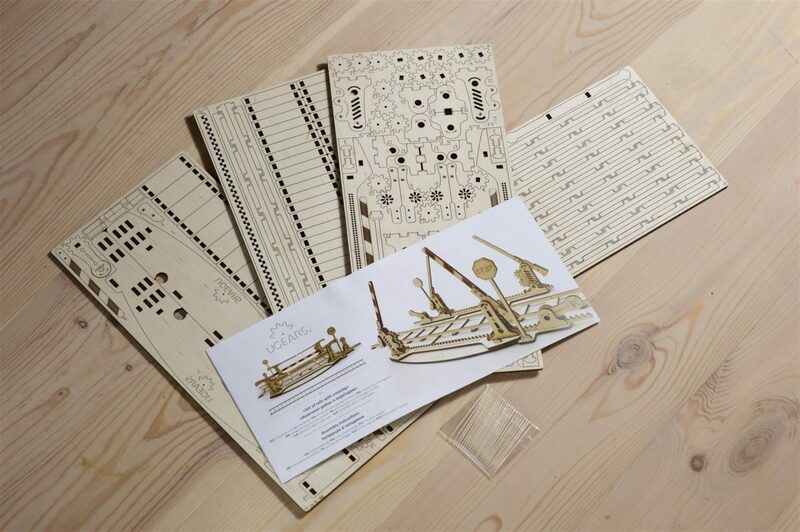 The quality and accuracy of the parts are very high due to the laser cut method we employ. 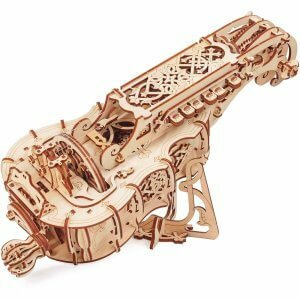 You need no glue to put UGears models together, which makes watching them work and move even more exciting. 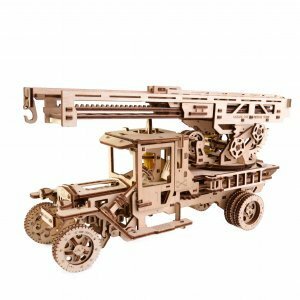 You can assemble them at home on the table. 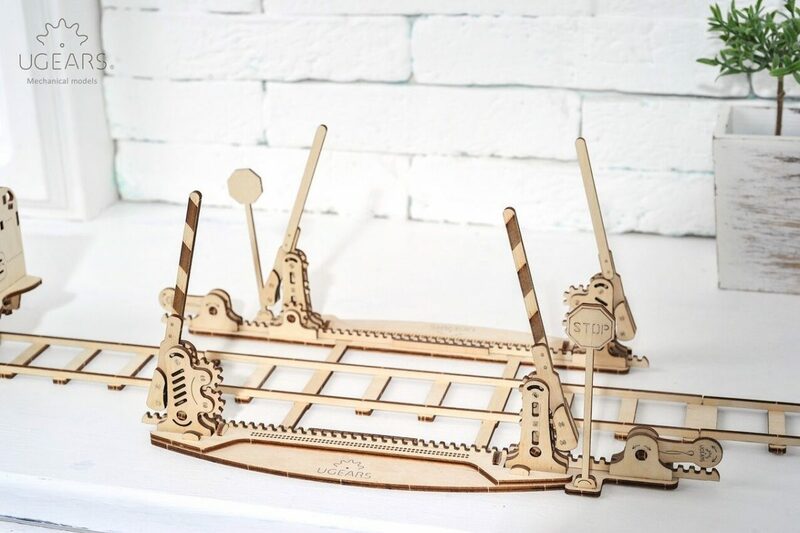 All you need is your own hands, patience, and assembly instructions. We bought rails to put Ugears Locomotive on. It moves on flat surface in its own, however it is way more fun to see train chugging on real-life looking tracks. I also like that crossing works as well ( it moves up and down operated with a special handle). 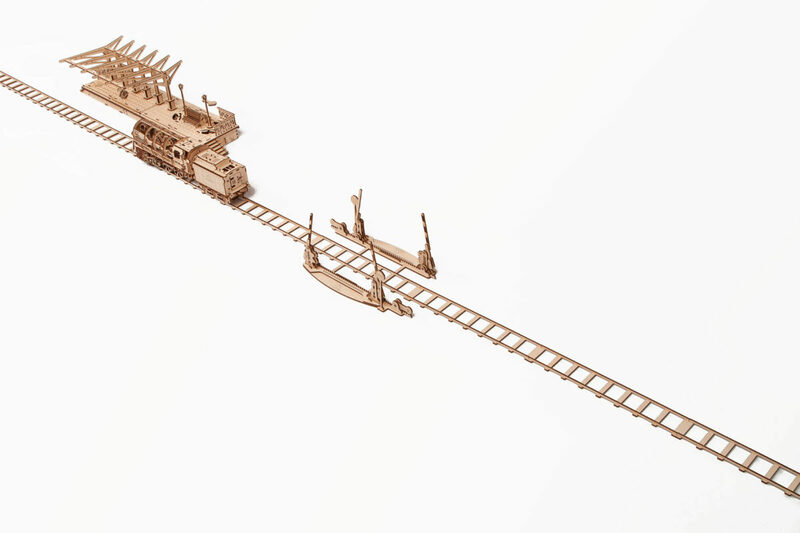 Are there any curved piece of track so the train can go in a circle or is it all just straight track? 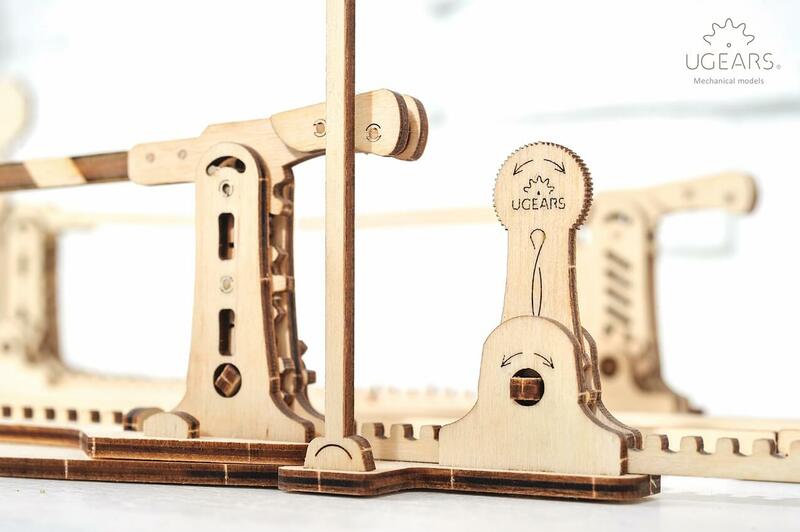 All UGears rails are straight.